TDP has tried to the trouble to the Jagan in AP assembly. Speaker Kodela Shiva Prasada Rao also helped with this activity. TDP has tried to stop the Jagan as long as he speaking. That's why YCP has stopped going to the assembly. The YCP Leaders did not go to assembly meetings in the past two time as a protest against their attitude. In June, the party MLAs were forced to resign as a protest against the TDP stand. The TDP was earlier in the YCP movement which resigned from the party's MPs. TDP chief Chandrababu had to quit his party MPs. Back down. Even though the constituencies have been trying to rotate the constituencies with the original MPs, they have to postpone it as they have not agreed to do so. AP condition is because of Chandra Babu and BJP. That is why he will resign with all MLAs. 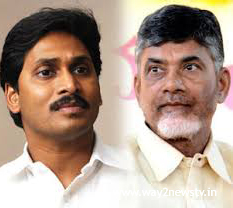 In political tactics, Chandrababu is sometimes required to emulate Jagan. Jagan was given a no-confidence motion in Parliament. He did the same thing as mileage where they were headed by TDP. YCP Party MPs will go to Delhi .. Chandrababu will do the same in Amaravati. The whole thing now is that Chandra Babu is walking. YCP leaders are doing rallies, demonstrations, travels, and concerns. The silent TDP for four years now is eager to do all that. But people did not believe that TDP's action easily. We do not trust Chandrababu for any change in words. This is something that makes it difficult for Chandrababu. It is even more surprising that at least Communist leaders do not come with him. It is now debated that YSR Congress party MLAs will resign in protest against the stand of the Special Government struggle.